Are you ready for the Fourth of July? Just a couple of days more and it is our nation’s birthday. This is the day where we celebrate liberty and equity. 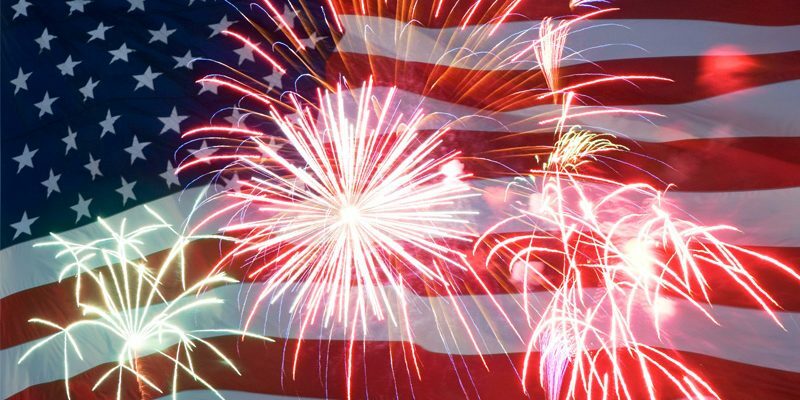 July 4th has been known as a Federal Holiday in the US since 1941 but it has been a tradition to celebrate this special day way back since the 18 century and the American Revolution. These days, the celebration of the country’s independence comes in various forms, from fireworks, concerts to parades and kickoff party. It has also been a casual family gathering where families spend some quality time together over picnic and barbecues. Here are the following activities you can participate on to fete our country’s independence with style. You are done celebrating the Memorial Day and now is the time for you to participate in activities that commemorate the Independence Day. And is there a better way to start the celebration than by witnessing the America’s National Independence Day Parade. This is a parade featuring marching bands from all over the country, special units, military, VIPs and patriotic floats. The activity is a great start to a full day of Fourth of July celebration. The parade takes place every July 4th at around 11:45 am on Constitution Avenue from 7th to 17th Street in Washington DC. The parade is organized annually and is a major national event which the main purpose is the draw attention of spectators and all Americans to the true meaning of this holiday. One of the best ways to celebrate freedom is to celebrate it for free. That’s why you can’t miss the various fireworks displays that have become an epic and essential part in the celebration of freedom. This is the day where it seems that every corner of America has a patriotic, pyrotechnic display. You don’t have to sweat finding the right spot to watch amazing firework shows, all you have to do is to search for the best among the myriad displays in the country. Concerts have always been a part of any national celebration and your Independence Day celebration would never be complete without watching a concert. Just like fireworks displays, patriotic or fundraising concerts are also an essential part of an Independence Day celebration. If you are someone who wants to really get involved with the celebration, you can organize fundraising concert yourself. Just make sure you are knowledgeable enough on the things you need to do to organize a successful concert like choosing a great concert venue, location and the advertising and promotion. If you are a party lover, you will definitely enjoy the weekend kick-off party. Celebrate freedom under great wide open blue skies. If you are celebrating with your kids, there are also myriad of kid-friendly activities that kids can enjoy. Usually, falling middle of summer, the Fourth of July has not only become a celebration of freedom but as well as the time to shift our focus from work to leisure activities with families and friends. There are a plethora of ways you can to commemorate Independence Day and there is more than enough to fill your Fourth of July week with fun.